Nyungwe House was previously known as Nyungwe Forest Lodge. It received a full refurbishment in 2017, reopening in November under new ownership. This luxury lodge has a stunning location, situated in the midst of a working tea plantation right on the edge of the Nyungwe Forest. This is an ideal base for exploring the forest with its many primate species, flora and birdlife. There are 22 rooms made up as twins or doubles with king size beds and thick, warm duvets making it very cosy. All rooms have fireplaces for cold nights, air conditioning, mini bars, tea and coffee facilities, spacious en-suites and private decks with more forest views. Striking artworks adorn the walls, inspired by the natural beauty of Rwanda and its rich cultural history. For your relaxation after a long day of activities there is an outdoor heated infinity pool and a poolside bar. Alongside the pool is a small fitness centre and a spa retreat. Enjoy relaxing in one of the two treatment rooms. The main building is spacious with high ceilings. This houses the lounge area, restaurant, reception and curio shop. The large floor to ceiling windows look out towards the vast expanse of lush, green forest, a stunning backdrop to accompany your meals. The decor throughout is sophisticated and contemporary, though natural materials have been used in construction creating a blend of traditional and modern that just seems to work. Drive time from Kigali to Nyungwe is around 7 hours and 250km, but there is a helipad at the lodge and an airport within an hours drive. See our section on Nyungwe Forest for details of treks and activities there. Note that it takes nearly an hour from the lodge to the park HQ for the start of the trails, so early wake up calls are the norm here! Guests at the lodge can take tours of the tea estate and may be able to see a local troop of colobus monkeys. Gisakura village down the road is also worth a visit whilst at the lodge. Location: On the edge of the Nyungwe Rainforest in a beautiful tea plantation. Rooms: 23 luxury forest rooms situated in 6 wooden villas. Each with a balcony overlooking the forest or plantation. There is air-conditioning and heating in each room together with cosy open fireplaces. Activities: Trekking for; chimpanzees, black and white colobus monkeys. You may also see grey-cheeked mangabeys and blue monkeys. There are also various walking trails to see waterfalls, swamp walks, bird watching, cultural walks with a local guide and a canopy forest walk. Facilities: The main lodge houses the restaurant, tea lounge and bar. There is a cosy outdoor boma area for outdoor dining and evening drinks and the lodge has a beauty spa, infinity pool and small gift shop. Dining: Meals are served at individual tables in the restaurant and in the outdoor boma. Children: The lodge welcomes children of all ages. Children under 15 years old not permitted on chimpanzee treks. Communication: There is limited mobile reception, a phone and fax at reception and limited internet access. 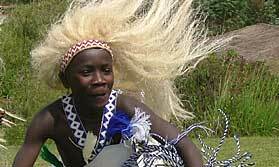 Gorillas and other primates, plus little-visited Akagera and Rwandan culture. "unbelievable standard of accomodation. An amazing location and an amazing hotel, food was amazing, everything was awsome, didn't want to leave. Room backed onto the rain forest and the tea plantation. Idealic!" "Beautiful setting. Log fires. Good food, very friendly great rooms, colobus monkey visits to my balcony ."